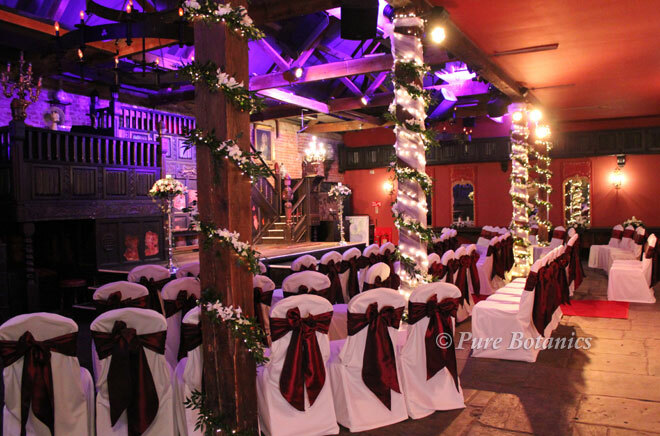 Coombe Abbey is a unique venue for your wedding and has built up a solid reputation for delivering on quality. 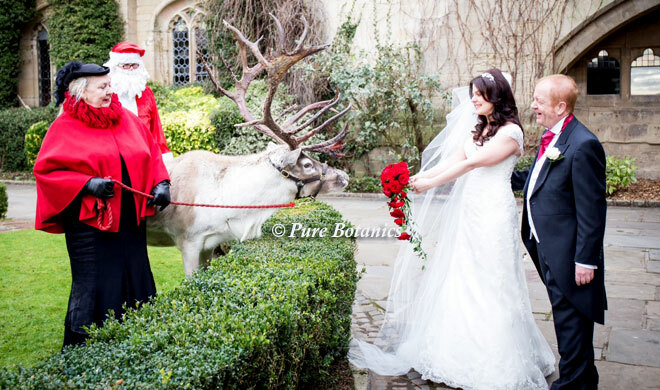 This hotel combines an impressive building with beautiful gardens – giving you unlimited opportunities to capture some great wedding photographs. One of the aspects that I like about this hotel is the wide variety of different rooms that are available. 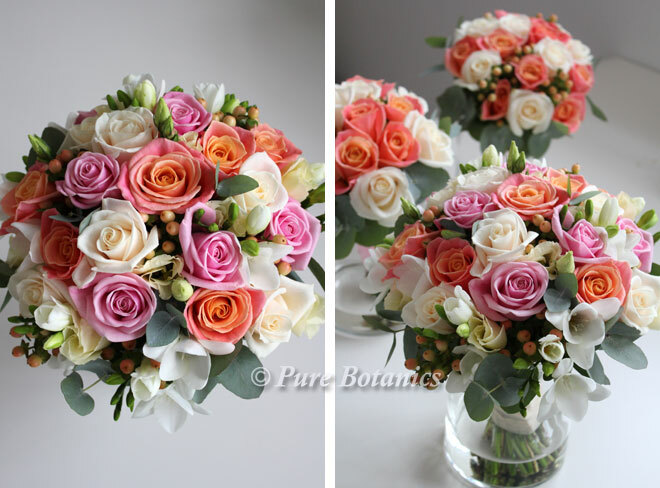 This allows you to create exactly the type of wedding that you want. 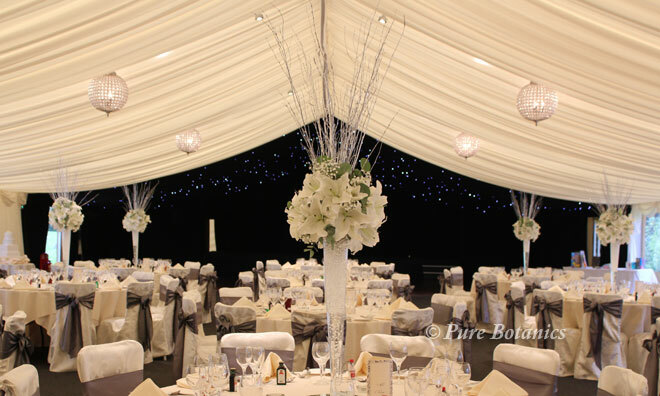 We’ve created flowers for small intimate weddings in the Walnut Suite and also decorated all of the larger rooms such as the Marquee (photo above) Abbeygate (see below) and the Cloisters. 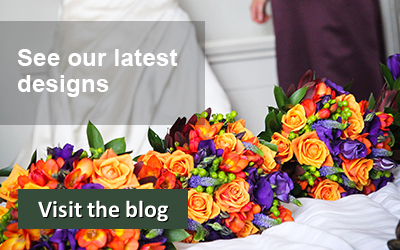 We can help you design the perfect flowers that are in keeping with the feel of Coombe Abbey. 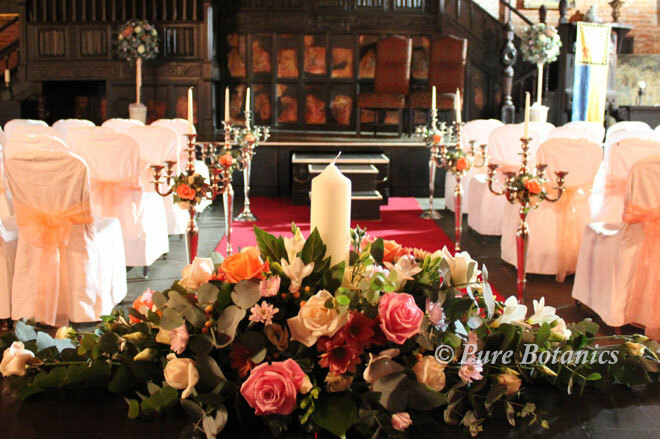 We have a number of candle table decorations that look great on wedding tables. 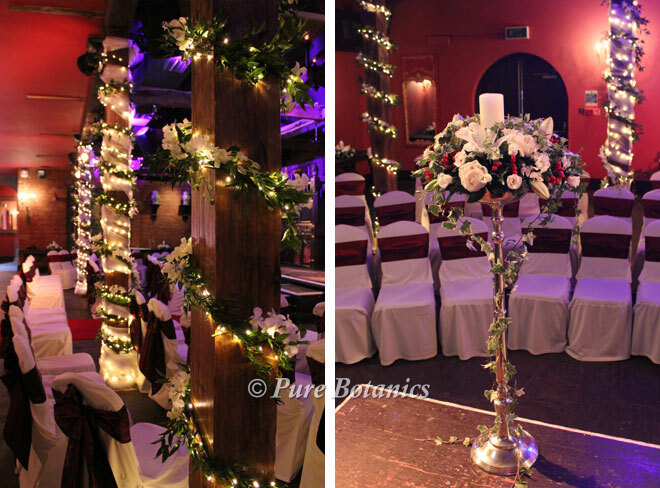 We also have experience of decorating the candelabras at this venue. 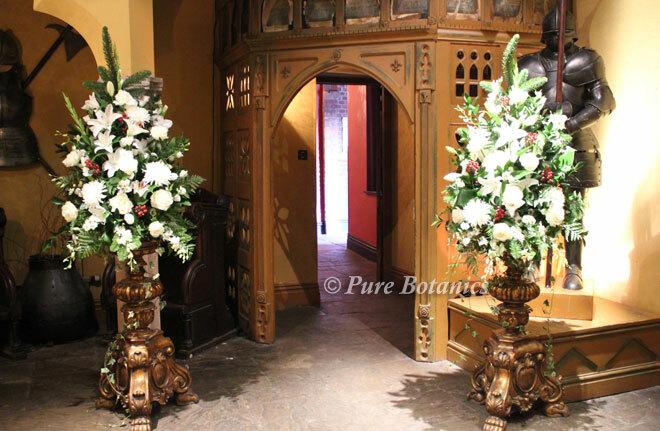 If you’re looking for larger pedestal flower displays, we have decorative urns that fit in with the style of the hotel very well.If you are planning a medieval style wedding, Coombe Abbey is the perfect venue. The building was originally a Cistercian monastery back in the 12th century. The building has had a colourful history including having a central role in the ‘Gunpowder plot’ and Henry VIII’s dissolution of the monasteries. It has since been restored to its former glory and looks wonderful.In addition to the main building itself, the gardens are quite something to see. They are ideal for getting some intimate photographs after the wedding ceremony. They are also great for guests who can spill out onto the gardens for a friendly chat. Coombe Abbey Hotel is located in Brinklow, Warwickshire. It is close to Coventry but has a distinctly rural feel to it. 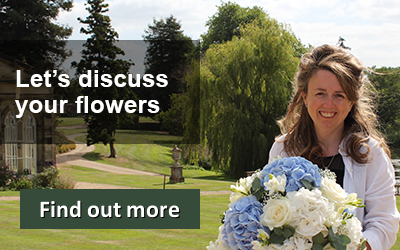 It is easily accessible from Leamington Spa, Rugby and Leicesteshire.Caroline and Chris had this to say following their wedding, for which I created the flowers:“We just wanted to send a card to say a massive thankyou for all your hard work on our flowers, they were perfect. 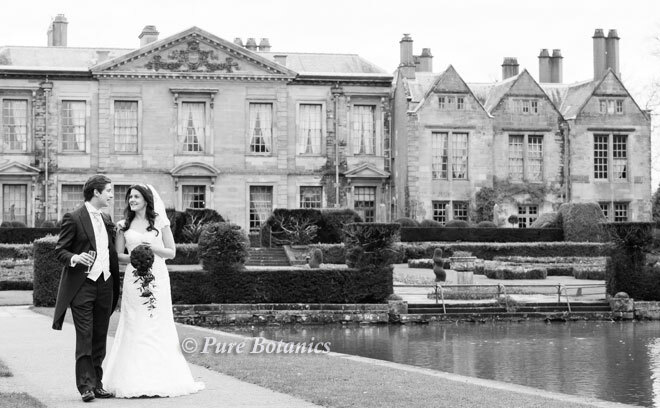 If you ever need any testimonials we will be first in the queue.”If you’d like to speak to me about your wedding at Coombe Abbey, please contact me via our contact page.